Probiotics are unique and also essential for fighting unfriendly bacteria in your intestines. In many ways, probiotics can also help support the immune system to help you stay healthy. 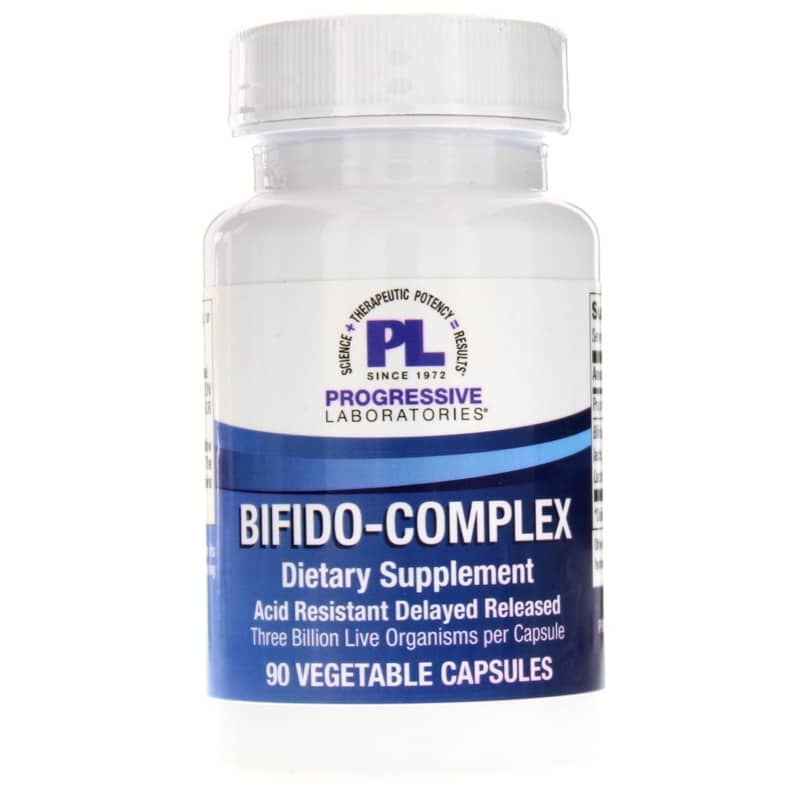 Bifido-Complex dietary supplement by Progressive Labs contains an astounding 2 BILLION live organisms per capsule! Each micro-organism is a natural inhabitant of the intestinal tract - so it will make itself right at home. 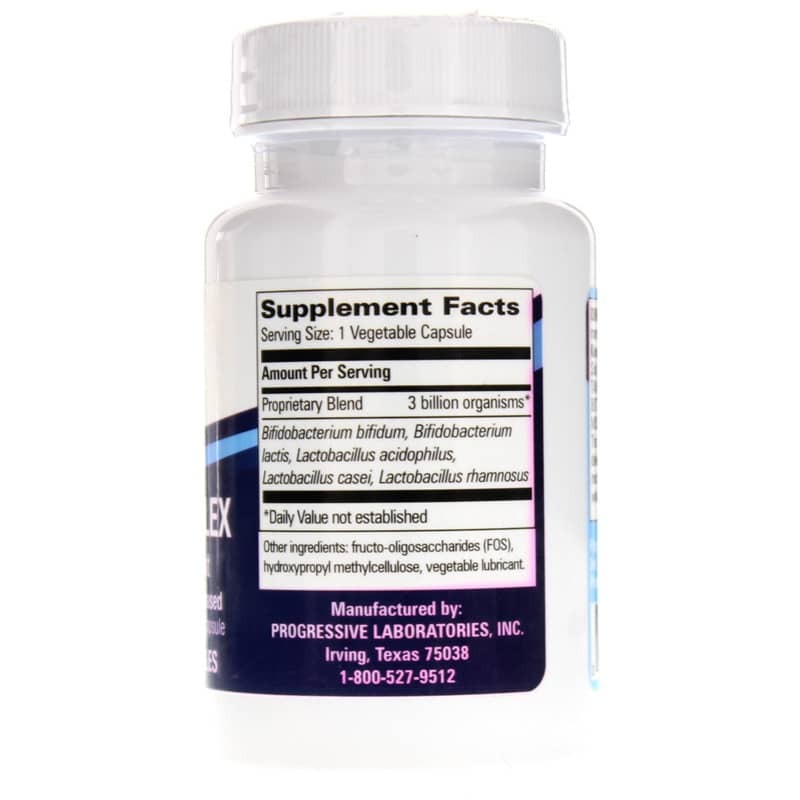 This supplement is acid resistant and heat tolerant to allow the product to pass through stomach acids intact to deliver maximum potency to the lower intestinal tract. Get the benefits of live organisms in your intestines. Try Bifido-Complex! Other Ingredients: inulin, polydextrose, Hypromellose, vegetable magnesium stearate. 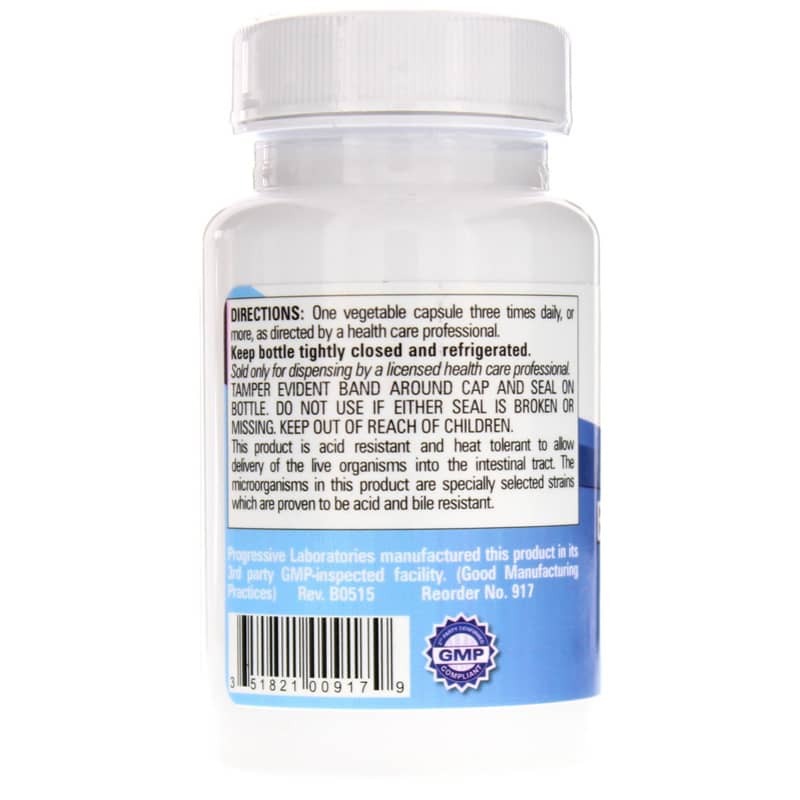 Adults: Take 1 capsule, 3 times daily or more as directed by a doctor. Keep bottle tightly closed and refrigerated.